In New Zealand we still believe in classical music CDs, even though there is now only one serious store in the whole country that sells them - Marbecks, in the Queens Arcade in Auckland. Go there if you possibly can. 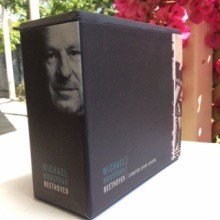 If that is not possible then go online and order from rattlerecords.net unless otherwise directed (rattle.co.nz can still get you there). Below are my most recent recordings. Further down are the old Trust Records recordings, but frankly I can’t recommend them. If you don’t want to deal with CDs or spend any money, then try the free downloads right here. Issued by the JAZZ section of Rattle, here are four arrangements for piano and big band. 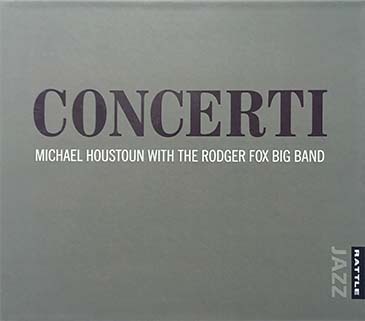 Jazz maestro Bill Cunliffe is fully responsible for two of them, shares the credit with Prokofiev for the third, and the fourth is taken from a solo piece by Mike Nock (find it on my Inland album) arranged by Dave Lisik. The brains and musical spirit behind the whole deal is the inimitable Rodger Fox. His band rocks and we had some serious fun! 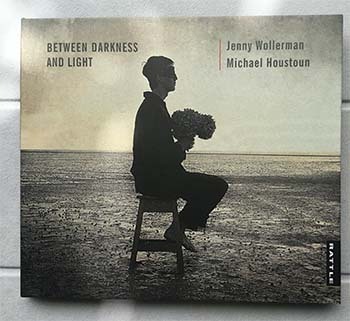 Here is the music from a show that lustrous soprano Jenny Wollerman and I presented at festivals, complete with set and lighting. It is a recital of songs by 19th and 20th century masters including Fauré, Debussy, Rachmaninov, Strauss among others. There are three little piano solos tucked in there as well. Beautiful. "Rattle has come up with a first in the recording industry of our country with this magnificent release. 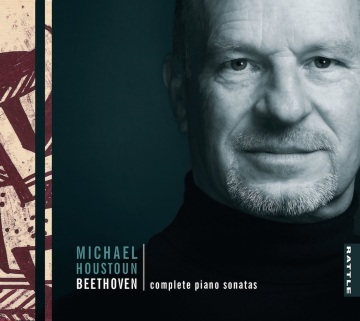 Michael Houstoun delivers the complete Beethoven piano sonatas on 14 CDs, housed in a sturdy and stylish slipcase that also contains a 180-page hardbound book... Houstoun has always been an individualist, and the searching interpretations of these works have emerged from decades of study and investigation." 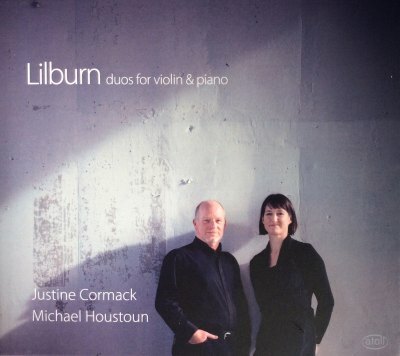 "...the top classical release (of 2014) by far...a profound slice of arts heritage..."
Justine Cormack is violinist in NZTrio (www.nztrio.com) and this disc contains almost all the music Lilburn wrote for violin and piano, including Allegro Concertante, Sonata in E flat (1943 revised 1984), Sonata in C (1943 revised 1986), and the great Sonata (1950). Order it at your local record/cd store and if it has gone under (boo hoo) go to www.atoll.co.nz and get it there. Winner of the Tui for Best Classical Album at the 2013 Vodafone New Zealand Music Awards this album contains a significant selection of the music played in Dave Armstrong's highly successful play, 'Rita and Douglas' - plus quite a few other tasty morsels. Order it at your local record store. Don't have one? Then go to www.rattle.co.nz and order it there. 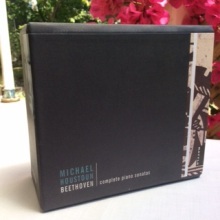 This is a remastered version of the double CD set that won Best Classical Album in 2008. As well as the two CDs there is now an additional DVD with footage from the recording sessions and interviews about the music. 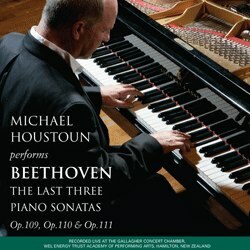 This DVD of a live concert performance of the last three Beethoven sonatas is now available. It is a Trust Records release - MMT4001. 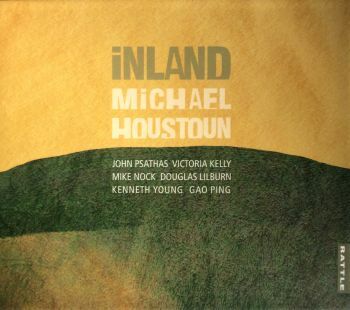 NZ Solo piano music by Kenneth Young, Douglas Lilburn, Mike Nock, John Psathas, Gao Ping and Victoria Kelly. 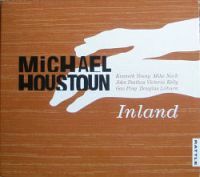 This Trust Records release (MMT4001) includes the complete Live performance of these three works and an exclusive 40-minute interview with Houstoun, who candidly discusses his interpretation and meaning of the works. "The Beethoven biographical literature contains many anecdotes about his tremendous improvisations at the piano. It seems he could not only make people laugh and cry, but could even dissolve grief and alleviate illness; such was the range and depth of his creative imagination and force of his personality." 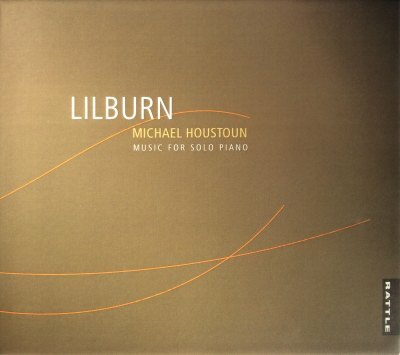 This CD just won a Tui award - Best Classical Album at the NZ Music Awards!